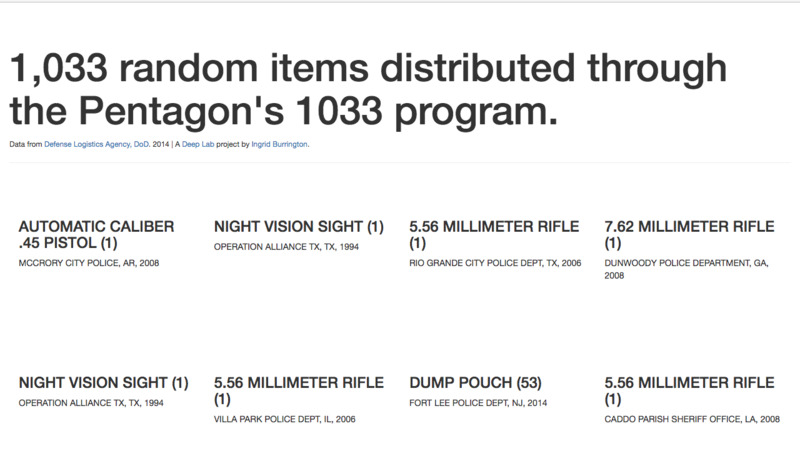 1,033 Objects is a website that displays 1033 randomly selected items distributed from the Pentagon to U.S. police departments via the 1033 program. Trying to wrap your head around the scale of the 1033 program can be difficult. 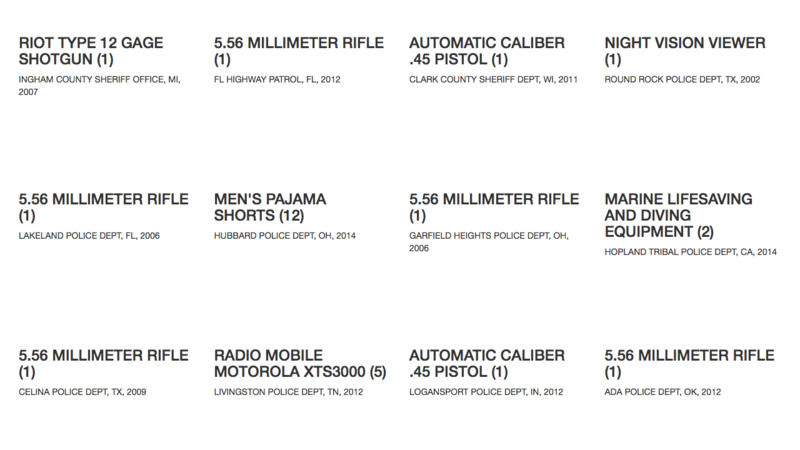 Lots of news websites have made useful tools for getting some big-picture numbers–how many MRAPs and where? 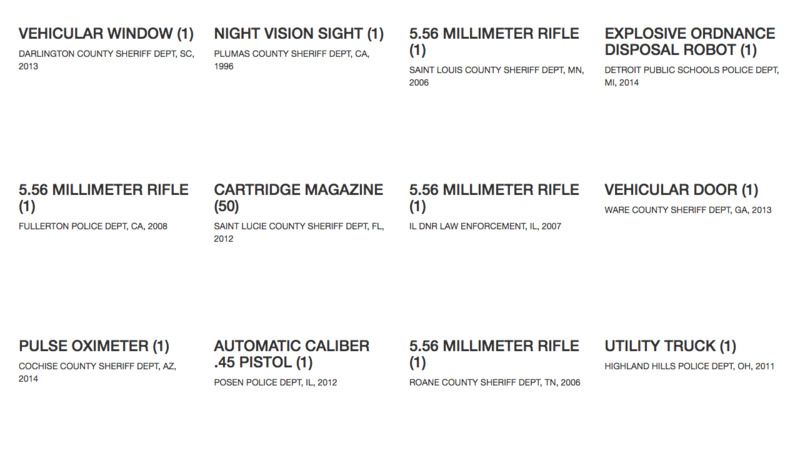 What does my specific county have? But I kind of just wanted to understand the program as a bunch of stuff and try and wrap my head around the stuff of it. 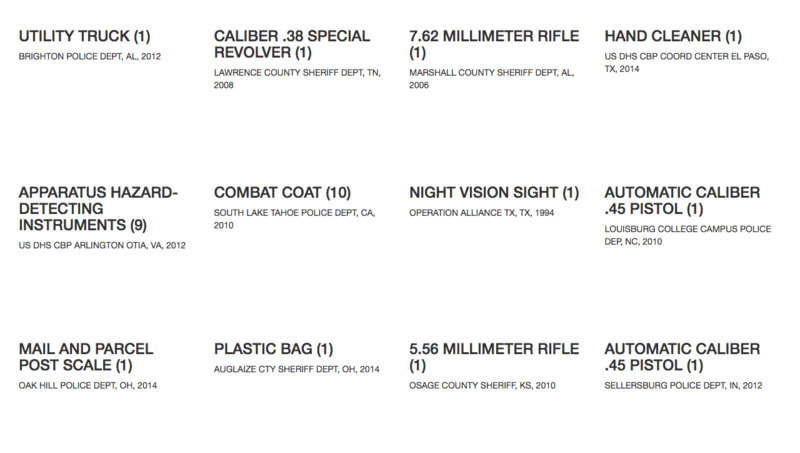 It gives you an idea of the kind of range of items the program distributed (from PLASTIC BAG and MEN’S SHIRTS to NIGHT VISION GOGGLES) and what items tend to show up a lot (it seems like there are a ton of rifles). This is what the exhaust of the war on terror looks like. This project led to me being invited to contribute to the project Money as a Weapons System, which was a huge honor that I probably didn’t deserve? Which is fine.